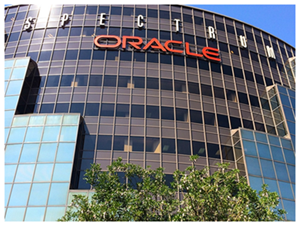 ​​​​​ SAN ANTONIO - Oracle America which develops and markets database software and technology closed on a lease expansion that will provide additional space on the second and third floors of the Spectrum Building at 613 NW Loop 410. Now, after closing on a lease to expand its presence in the property by an additional two floors, Oracle accounts for more than 40 percent of the building's now 98 percent occupancy rate. Finish-out construction on the space will begin next month, with that work expected to cost about $2.3 million.